If an officer isn’t wearing their hat, the ticket is invalid. False. Whether or not an officer is wearing their hat has no bearing on the validity of a ticket. Some departments may have individual policies requiring officers to wear their hats while out and about, there is no law requiring them to do so. If the information on the ticket isn’t 100% accurate, the ticket is invalid. It depends. If the incorrect information is trivial, such as the color of your vehicle, it does not affect your ticket. 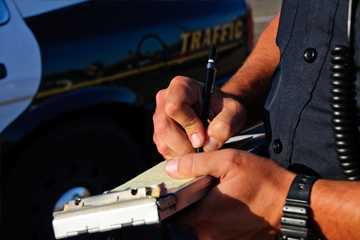 If the incorrect information is important, such as your name, driver’s license details, or the nature of the infraction, then you may have an argument against the validity of the ticket. Also, different types of tickets have different requirements for accuracy. If the officer gives me wrong information, I’m not at fault. False. If an officer gives you wrong information, whether intentional or accidental, you are still at fault. For example, if the officer tells you your court date will most likely be one month from Tuesday, but it’s actually one month from Monday and you miss your court date, it’s still your fault. 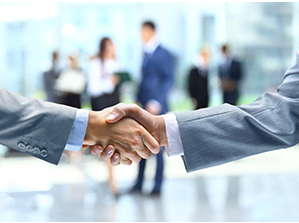 You are responsible for contacting the court and handling your business. If the officer doesn’t show up at court, my case has to be dismissed. It depends. Different courts have different rules, and different types of tickets may require various degrees of officer involvement. A ticket in another state won’t affect me. If I sign the ticket, I’m admitting guilt. False. Your signature on a ticket signifies your promise to show up to court. If I don’t sign the ticket, then it isn’t valid. False. A ticket is valid with or without your signature. Your signature on a ticket signifies your promise to show up to court. I can’t get a ticket if I’m just matching traffic flow. False. Just because everyone else is breaking the law, doesn’t mean it’s okay. Just like your mom used to say, “If everyone else jumped off a bridge, would you jump too?” (And you know your Mom wasn’t talking about jumping for fun, like into water or bungee jumping.) The law is the law, breaking it can get you in trouble even if everyone else is doing it.